As the days went on I got to thinking about an experience I had the summer before my senior year of high school. I spent a week at a place called The Farm in Vanceburg Kentucky. This is one of the many arms of Glenmary Home Missions. I spent the week with other teens rotating to different work sites every day and singing songs by campfire at night. Years later as a parish Youth Minister I took a group of youth on a mission trip to Canton Mississippi. During the day we did service work and in the evenings we would sing worship songs and share about our days. These two experienced kept swarming around in my mind and a plan began to take shape. So I send an email to a group of youth ministers with this idea: A camp where the youth would rotate through 5 different kinds of service, go to mass every day, and do retreat kinds of things like praise and worship, skits, small groups, and prayer experiences in the evenings. We would sleep on the floor and have a mission trip experience, at home. Everyone liked the idea, so we got together to talk about it. After some ironing out of details everyone agreed we needed to make this happen. I asked, “Who is going to be in charge?” Everyone looked at me. I was a bit taken aback and said, “Hey, I’m just the idea guy, I have no idea how to run a summer camp! !” Everyone agreed that I should be one of the leaders and lucky for me Eric Gray stepped up and agreed to be one of the founders. Together, with me as the vision and Eric and the planner we started camp in 1998. The first camp was held at St. Thomas the Apostle in Fort Worth and we had 50 people attend. Over the years we have held camp at 10 different parishes all over the Diocese of Fort Worth and have had around 3000 people attend. 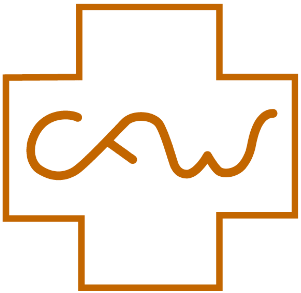 ​​Here is a list of when and where CFW has happened.